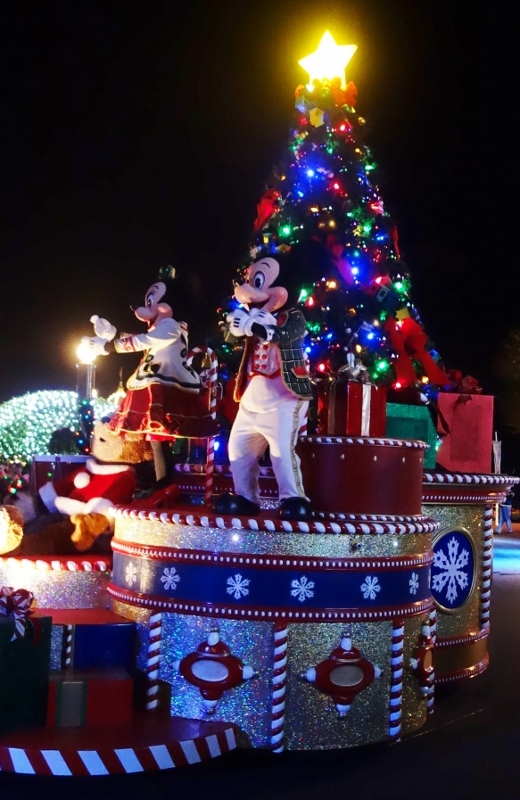 While Christmas itself is December 25 of course, Walt Disney World provides a special Christmas celebration at the Magic Kingdom many nights in November and December. 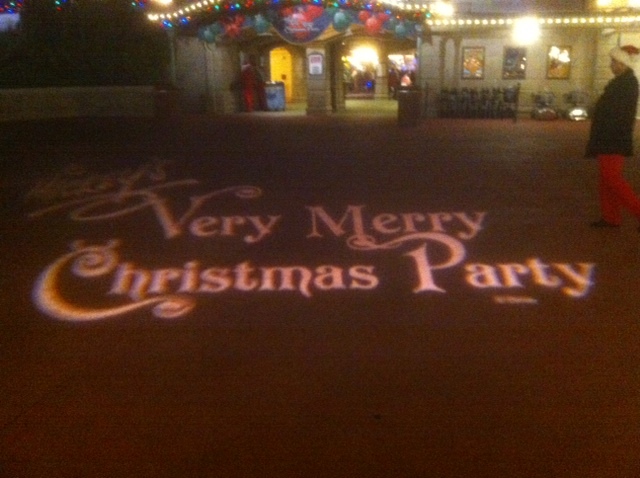 This celebration is called “Mickey’s Very Merry Christmas Party, or “MVMCP” for short. 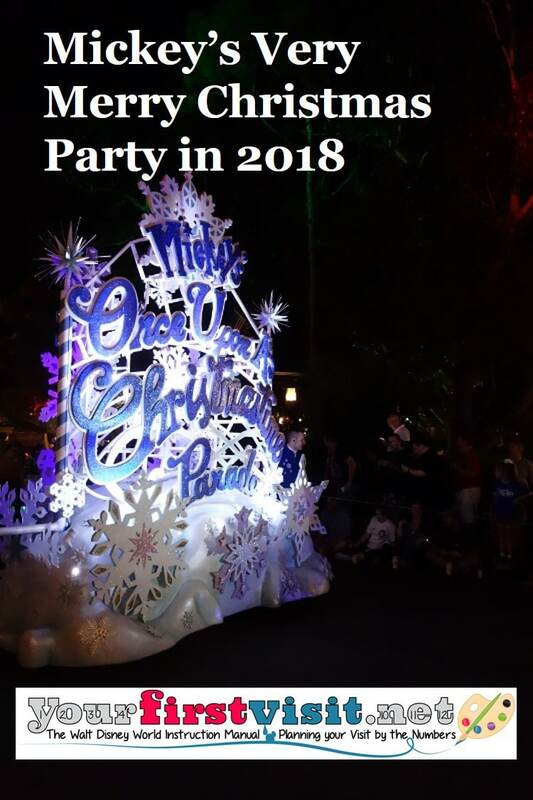 At the party, many of the Magic Kingdom’s rides are open with really low waits, and cookies and hot chocolate, special events, a Christmas parade, special fireworks, and even snow (!) are offered. The official Disney World page for this event (where you can also buy tickets) can be found here. For a review of the 2018 version of MVMCP, see this. 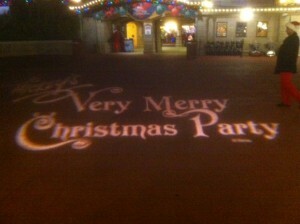 This party occurs from 7p-12MN on certain evenings at the Magic Kingdom in November and December. You need to buy a special ticket for this party. 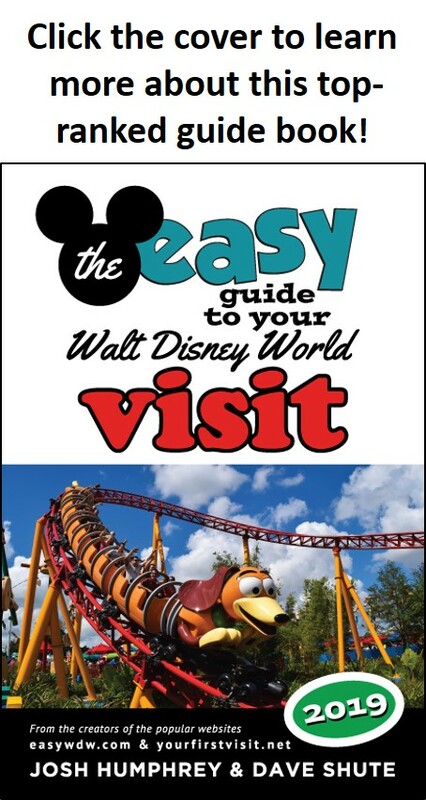 This ticket is different from regular Walt Disney World park admission tickets. Many families go the first time for one of these reasons…and then going becomes a tradition! On the other hand, families following one of the standard 8-night itineraries on this site will see the fireworks and evening parade, and have plenty of time at the Magic Kingdom. 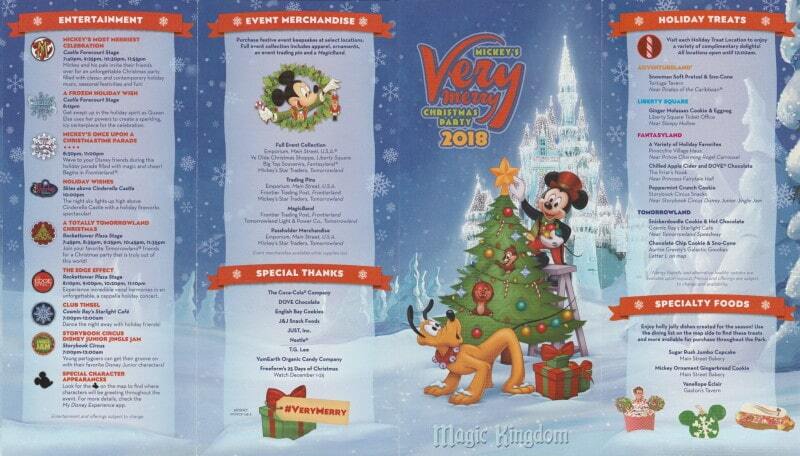 For that reason, Mickey’s Very Merry Christmas Party is not designed into this site’s pre-Thanksgiving itineraries. It is, however, built in to this site’s Christmas-oriented Basic Itinerary, which works for the three weeks beginning the Saturday after Thanksgiving. For details on what the party offers, suggested approaches, etc., see this! I noticed there is no Christmas party the week of Thanksgiving. Is this typical? We were debating on doing one to get some extra time at MK (this trip will only allow for 3 full park days). I was thinking of doing Nov. 16th, the day we arrive, but concerned that it will be packed since there is not another one scheduled until the 25th! Or do we forgo the party and add a 4th day to our tickets and do a partial day at another park on the 16th. Our full days at the parks will be Sat Nov 17, Sun Nov 18 and Mon Nov 19, planning to hit Epcot, MK and AK. Thoughts, suggestions? Maybe kind of hard since we don’t have hours available yet. Hi Kelly, yes it is routine for there to be no party during Thanksgiving week–crowds are too high for Disney to even dream of closing MK at 6p that week. The story on the parties–including the 16th–is that they always feel crowded, but also always have short ride waits except at Seven Dwarfs and Peter Pan. Adding a partial day the 16th will be much less expensive. With FastPass+, partial days can work really well. I’ll be able to advise more specifically on which days in which park after the schedules comes out, so ping me back later! 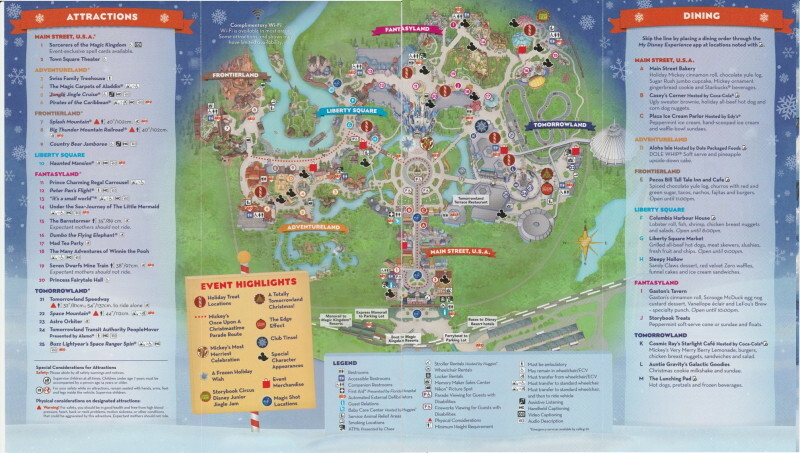 Hi – If I have tickets for MVMCP for Dec 4,2018 and my plans change, can I switch the date to Dec 6? When I was on the phone with a Disney agent to book my December trip, I mentioned that I had already purchased tickets for the MVMCP for the week prior. Without me asking, the agent transferred me to a ticket agent who just swapped my tickets out for tickets for the following week. They can’t be refunded or transferred to another person, but the dates can be changed. …just wanted you to know. Thanks Kathy, now I know!!!! We will be at Disney 11/25-12/1 and thinking about attending MVMCP 11/29. We are most interested in lower waits for rides, the parade and seeing Wishes… Since it will likely be a sold out party, will crowds be insane on Main Street for parade and firework viewing? Is it more crowded that a nonparty night for HEA? How early would we need to find a good viewing spot? Katie, whether a party is sold out or not, Main Street, the parade route, and the Castle hub are mobbed. It’s the rides that are not.